We all know solar benefits the environment. It’s healthy and sustainable—but can it save you money, too? We at Modernize believe in knowing your options when it comes to solar. With so many factors involved—costs, rebates, and incentives—it can be difficult to figure out how much this all is going to cost you in the end, but with some smart planning, you can get a good idea of how long it will take to pay off your initial costs and start saving some green! When you start crunching the numbers, your overall savings will be offset by the cost of equipment and installation. But system costs can vary, depending on the size, your area, and whether you want to go totally off the grid. To get started, you’ll want to think about the energy needs of your home. Start tracking your energy costs. Look at not only the total cost of your bill, but also your usage, which your utility company will express as the number of kilowatt hours (kwh). The average US home uses approximately 900 kwh per month, but your household’s consumption may be higher or lower. You’ll also want to start thinking about your setup—would you like to be tied to the energy grid, or is your goal to get totally off-grid? Keep in mind an off-grid system will be larger and more expensive. Additionally, if you’re not tied to the grid, you won’t be able to participate in sell-back programs that exist in some states, which allow you to feed in excess power to the local grid and pay you for it. If $10,000 sounds too daunting a price, you may want to consider leasing your equipment. Many installation companies have lease-to-own programs to help defray the startup costs of solar energy. Leasing also has other benefits: the solar company performs all maintenance on the equipment. Of course, like any leasing program, you’ll have to pay interest—in this case, usually about four to eight percent. It’s something you’ll need to factor in when you’re making your cost versus savings worksheet. Now we get into the good stuff—the money the government pays you for using solar. The current tax return rate for solar costs is 30 percent, so subtract that from your overall costs. Note that the rate is expected to drop as more people adopt solar, so time is of the essence! Now we get to where it can get really murky. Each state and municipal area is different in how they handle local incentives. For instance, Austin, where I’m writing from, has a rebate program with Austin Energy that gets you $1.00 per square foot of solar film used. You’ll want to do your homework in order to really calculate the savings here. This database is a great place to start. Some states and areas also have net-metering, which means they connect you to the city’s grid and pay you for when you generate overages (think really sunny days). This is especially true in areas that get higher numbers of full sun hours (check out this map for more details on your area’s sun hours). If you’re thinking about solar, you’re in it for the long haul. And that’s where the savings really are—in the lower electricity bill you’ll pay each month. Going with the national average of 900 kwh per month, and estimating that your area gets an average amount of sunlight, even a 3kwh system could cut your bill in half. If you pay about $100 per month in electricity, that’s $6,000 after 10 years. Think about what you could do with all that money. These are just the basics of costs and savings for solar. To really get started, you’ll want to start doing research about your area’s costs and programs. Good luck and happy savings! NEW YORK, NY, September 2015 – Weight-loss wagering industry pioneer HealthyWage, the world’s leading purveyor of corporate and team-based weight loss challenges and financially-induced diet contests for individuals, today announced that, year to date, it has paid out winnings of over $2,500,000 to participants for a collective 750,000 pounds lost through its various cash rewards-based weight loss programs—most of which leverage the power of “social norms feedback” and other key behavioral economics principles. View details of three germane, high-level research studies on the efficacy of social dieting along with incredible dieter success stories, including recent $10,000 winner and a 151 pound weight loss, below. View before/after photos for the above, and other, representative HealthyWage participant weight-loss wagering WINNERS from here. Now Lerman and co have discovered a related paradox, which they call the majority illusion. This is the phenomenon in which an individual can observe a behavior or attribute in most of his or her friends, even though it is rare in the network as a whole. They illustrate this illusion with a theoretical example: a set of 14 nodes linked up to form a small world network, just like a real social network (see picture above). They then color three of these nodes and count how many of the remaining nodes link to them in a single step. Two versions of this setup are shown above. In the left-hand example, the uncolored nodes see more than half of their neighbors as colored. In the right-hand example, this is not true for any of the uncolored nodes. But here’s the thing: the structure of the network is the same in both cases. The only thing that changes is the nodes that are colored. This is the majority illusion—the local impression that a specific attribute is common when the global truth is entirely different. The reason isn’t hard to see. The majority illusion occurs when the most popular nodes are colored. Because these link to the greatest number of other nodes, they skew the view from the ground, as it were. That’s why this illusion is so closely linked to the friendship paradox. Lerman and co go on to tweak the parameters of the network, by changing the distribution of links and so on, to see how the majority illusion depends on them. It turns out that the conditions under which the illusion can occur are surprisingly broad. So how prevalent is it in the real world? To find out, Lerman and co study several real-world networks including the coauthorship network of high-energy physicists, the follower graph of the social-media network Digg, and the network representing links between political blogs. And the majority illusion can occur in all of them. “The effect is largest in the political blogs network, where as many as 60%–70% of nodes will have a majority active neighbours, even when only 20% of the nodes are active,” they say. In other words, the majority illusion can be used to trick the population into believing something that is not true. That’s interesting work that immediately explains a number of interesting phenomena. For a start, it shows how some content can spread globally while other similar content does not—the key is to start with a small number of well-connected early adopters fooling the rest of the network into thinking it is common. It might also explain the spread of antisocial behavior. Various studies have shown that teenagers consistently overestimate the amount of alcohol and drugs their friends consume. “If heavy drinkers also happen to be more popular, then people examining their friends’ drinking behavior will conclude that, on average, their friends drink more than they do,” say Lermann and co. In other words, blame the majority illusion. That’s important, but it is not yet a marketer’s charter. For that, marketers must first be able to identify the popular nodes that can create the majority illusion for the target audience. These influencerati must then be persuaded to adopt the desired behavior or product. That’s a goal that any good marketer will already have identified. At least now they know how and why it can work. NEW APP: GOOGLE BLACKMAIL You can pay them not to spam you “quite” as much! Shifting attitudes about marijuana are proving to be a boon for businesses that cater to people interested in buying grinders, rolling papers and other smoke products. A recent Pew Research Center survey showed that support for legalization of marijuana has increased in the U.S., with 53 percent of Americans in favor. That’s a huge difference from 1969, when Gallup first asked the question and just 12 percent favored legalization. Perhaps even more telling, 57 percent say they would not be bothered if a store or business selling legal marijuana opened up in their neighborhood. That would be a different business from what Ward offers, though. Weedshop.com doesn’t sell marijuana, which remains illegal in most places, but the online head shop does carry numerous smoke-related products such as water pipes, vaporizers, rolling papers and grinders. • Recent history. So far, four states – Colorado, Washington, Oregon and Alaska – and the District of Columbia have passed measures to legalize marijuana use. Another 14 states have decriminalized certain amounts of marijuana possession, and about half the states allow medical marijuana. • The future. The movement continues to gain momentum and proponents are optimistic that more states eventually will legalize marijuana, though opposition remains. Voters in Ohio are the next to face the issue when they go to the polls in November. Ward follows the legalization efforts with an eye toward what they might mean to his business and the overall business landscape. Ward honed his expertise in the world of online shopping while working at eBay. Determined to venture out on his own, Ward teamed with Rudderrow to launch Weedshop.com after it became clear the legalization movement would create business opportunities. Ryan Ward, an entrepreneur and former employee of eBay, is the co-founder of Weedshop.com (www.weedshop.com), an online store that sells smoke products, such as water pipes, vaporizers, grinders, rolling papers and much more. A native of Philadelphia, Ward earned his MBA in England and has spent time traveling the world. Your typical American family can expect to send 10 percent of their utility budget to the lights in their home. Lessening the energy consumed by lighting is all about making a few smart habits and sticking with them for the long term. Climate change is not simply an environmental issue. It’s a business problem. Ahead of the global climate negotiations in Paris this December, some of the world’s largest corporations are finally coming together to take a stand on the importance of combatting climate change. As of Sept. 18, this so-called We Mean Business coalition of organizations working with nearly 200 businesses and over 100 investors committed to promoting sustainable operating practices and facilitating the transition to a low-carbon global economy. The sentiment here is that climate change is not simply an environmental issue; it’s also an important economic opportunity for those willing to step up to the challenge. Members of the group come from a spectrum of professional fields and industries — technology, food, automotive, fashion and more — and operate in countries all over the world. The Huffington Post asked 9 of these companies what sustainability means to them and how they’re positioning themselves to become leaders in tomorrow’s low-carbon economy. 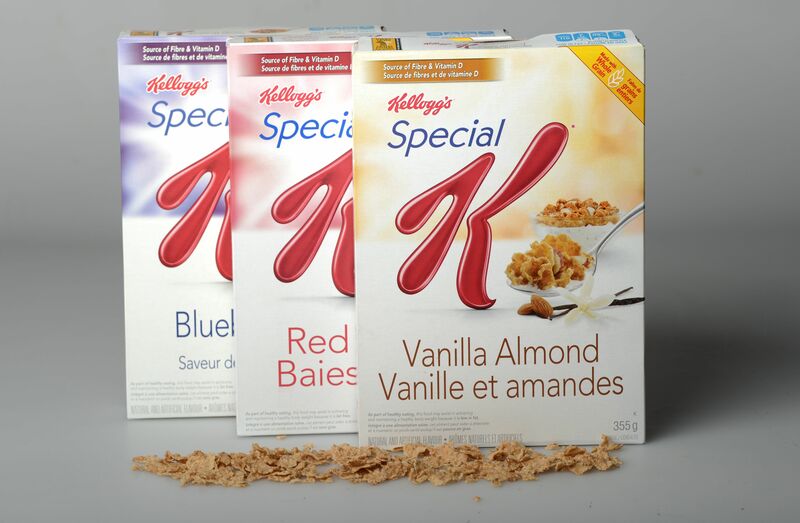 In 2014, the company reduced its carbon footprint by 10 percent compared to 2013 levels, with considerable emission reduction related to its supply chain and product use. Investment in renewable energy sources is also key to HP’s environmental strategy. The company has increased installed capacity for on-site renewable energy at its facilities by 150 percent. In 2015, it signed a 12-year purchase agreement for 112 megawatts of wind power with renewable energy company SunEdison. 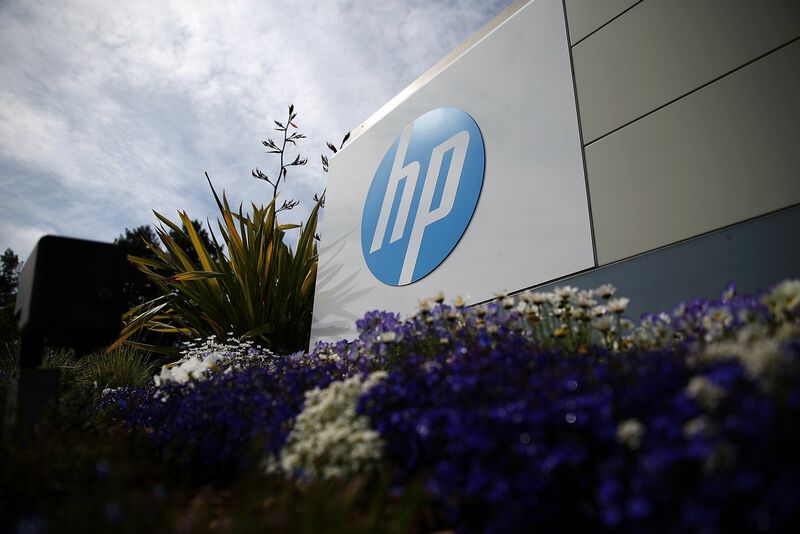 This contract will allow HP to reach its 2020 operational greenhouse gas emissions reduction goals by the end of the 2015 fiscal year, five years ahead of schedule. H&M is the world’s No. 1 user of organic cotton. In 2015, it committed to procuring 100 percent of its electricity from renewable sources whenever possible. 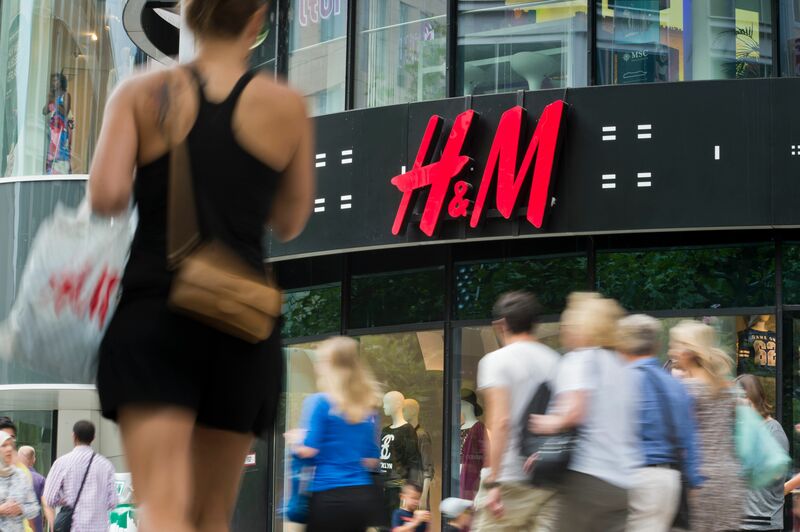 Electricity to power H&M stores represents more than 80 percent of the company’s total energy use. But by 2020, the company plans to cut how much electricity it uses per square meter by 20 percent, compared to where it was in 2007. In 2015, L’Oréal USA announced it cut its CO2 emissions by 57 percent from a 2005 baseline, saving nearly 60,000 metric tons of carbon dioxide. The ultimate goal is to reduce its environmental footprint 60 percent by 2020. Aside from cutting CO2 emissions, the company is investing in numerous renewable energy projects, including solar panel use at facilities in Mexico, India, Germany and the U.S.
L’Oréal pledges that 100 percent of products will have an environmental or social benefit, and that 100 percent of strategic suppliers will be evaluated on their social and environmental performance. 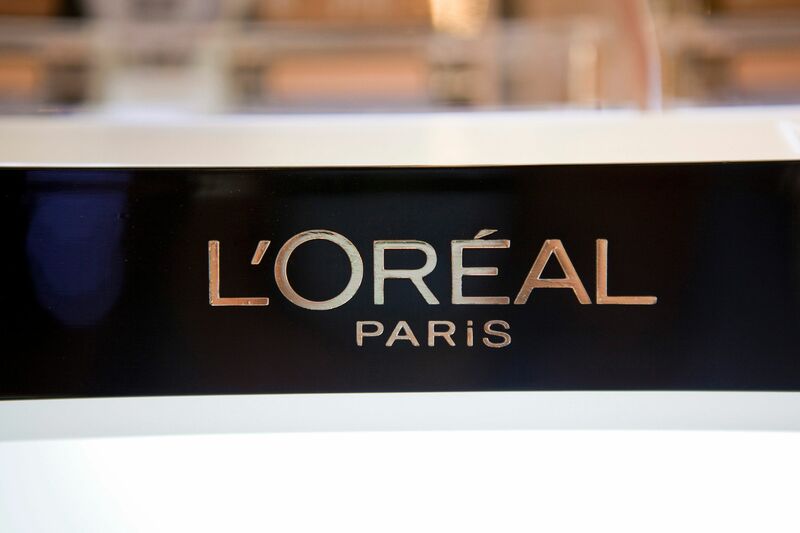 “L’Oréal USA is deeply committed to reducing our carbon footprint and improving our environmental performance through innovative sustainability solutions,” said Jonathan Maher, vice president for corporate social responsibility and sustainability. The company has pledged that by 2020 it would generate renewable energy to match 100 percent of its energy needs. In 2014, it generated renewable energy equivalent to 42 percent of its total energy consumption. In 2015, IKEA Group and IKEA Foundation announced that they would spend $1.13 billion on renewable energy and on communities at risk. 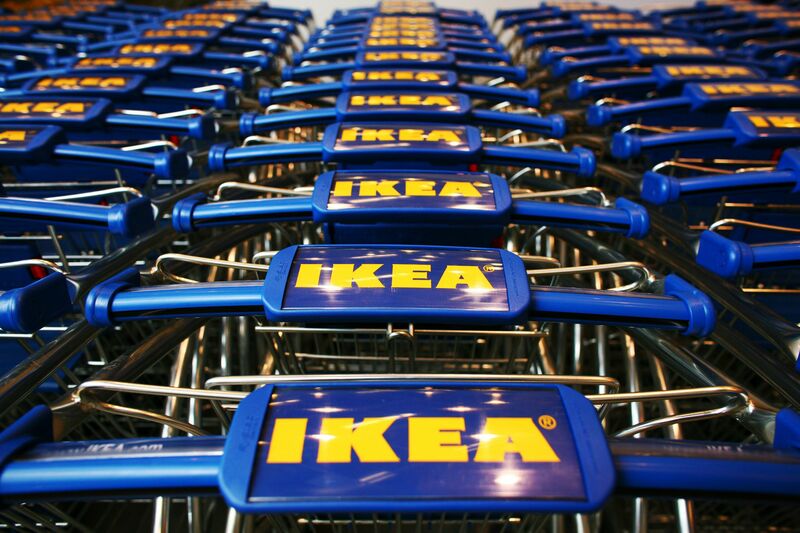 IKEA owns and operates 314 offsite wind turbines and has installed 700,000 solar panels on its buildings. In 2003, Xerox was an early adopter of greenhouse gas reduction targets across its worldwide operations. The company successfully achieved more than a 39 percent reduction since then. Xerox has also been minimizing its environmental impact through recycling efforts. In 2009, it pledged a 50 percent reduction in waste to landfills by 2015. The company reached this target three years early and, in 2013, surpassed it. One hundred percent of Xerox’s new eligible products have met current Energy Star requirements, the international benchmark for energy-efficient consumer products. “Our commitment to reduce the carbon footprint of our workplaces and those of our customers is grounded in our core values established over 50 years ago,” said Diane O’Connor, vice president for environment, health, safety and sustainability. “We market our services and products using the tag lines of ‘printing can work better,’ ‘transportation can work better’ and ‘healthcare can work better.’ Better is from the perspective of cost, productivity and environmental benefits and it applies across all the sectors we service,” she added. For its 2020 goals, the firm has pledged to increase the number of plants using low-carbon energy by 50 percent and to implement water reuse projects in 25 percent of its sites. It is also committed to achieving zero net deforestation in high-risk supply chains such as soy, palm oil, timber and fiber. In 2014, the company achieved a 25 percent reduction of waste to landfills since its baseline year of 2009. Electric vehicles are at the heart of Nissan’s environmental efforts. The company has sold more than 185,000 Nissan Leaf electric cars around the world — 83,000 in the U.S. alone. 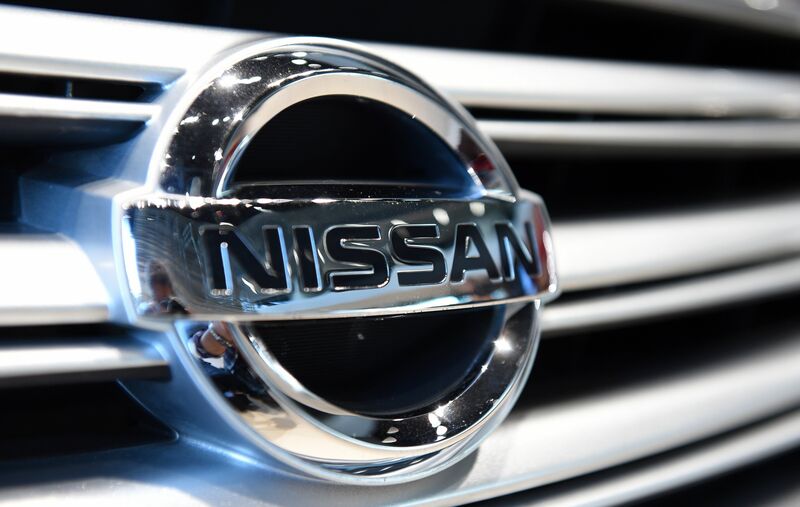 Nissan was named the No. 1 full-line manufacturer in the U.S. Environmental Protection Agency’s annual “Trends” report. Its fleet-wide fuel economy rating of 26.2 combined mpg exceeds the industry average of 23.3. Two full-time workers in each of Nissan’s factories are dedicated to identifying and repairing air leaks in manufacturing equipment. In the team’s first year, they located and repaired more than 3,500 energy-wasting leaks. “Nissan’s commitment to sustainability incorporates a variety of activities, from delivering the world’s first electric vehicle (EV) designed for the mass market to becoming the most fuel-efficient full-line manufacturer in the Environmental Protection Agency’s annual fuel economy review and reducing energy consumption within our manufacturing operations,” said Paige Presley, EV and technology communications. Across its manufacturing network, Unilever has reduced its energy consumption by 20 percent, saving 1 million metric tons of CO2 since 2008. Its low-carbon practices have also saved it $278 million. The company has achieved its target of sending zero non-hazardous manufacturing waste to landfills. 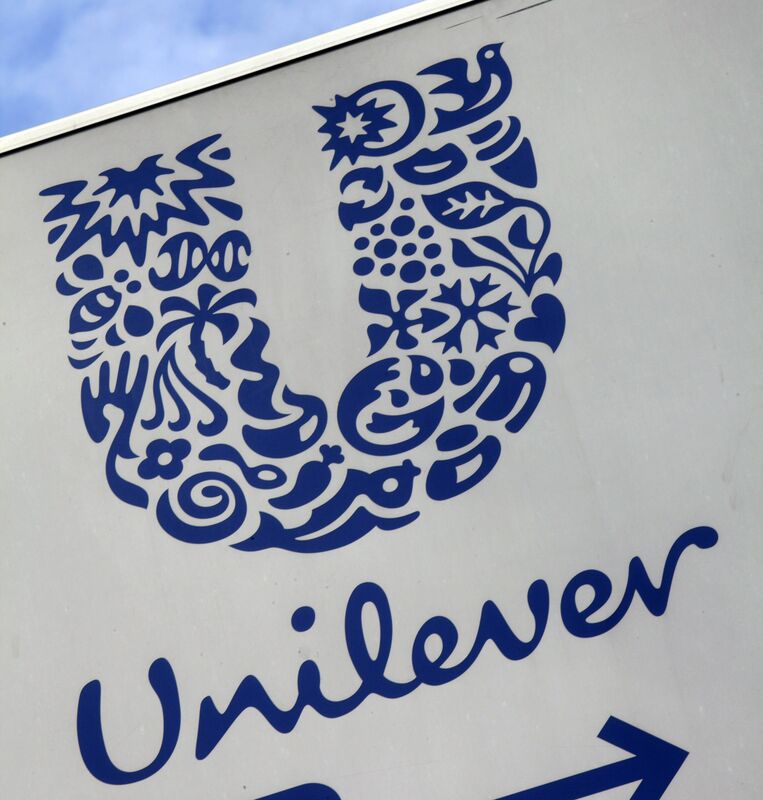 Unilever is a member of the RE100, a group of companies moving toward 100 percent renewable energy. 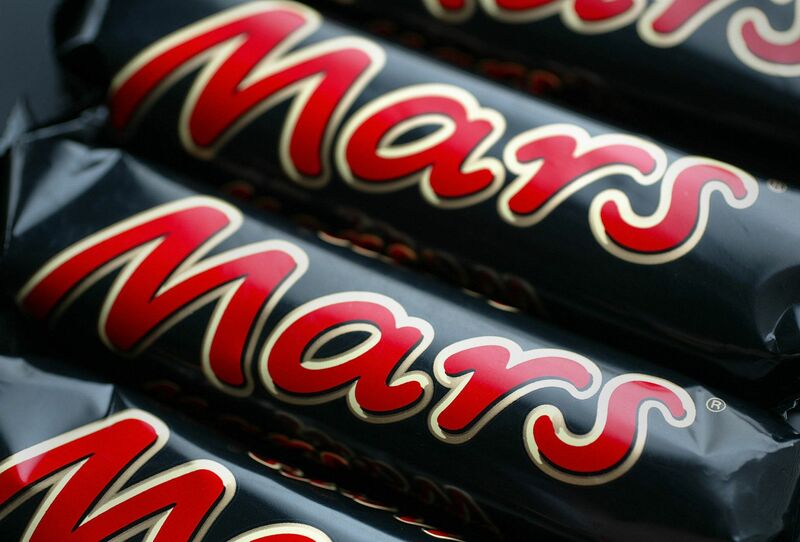 Between 2007 and 2014, Mars reduced its fossil fuel-based energy use by 9 percent and greenhouse gas emissions by 5 percent. It has partnered with global trading company Sumitomo Corporation of Americas and the developer BNB Renewable Energy Holdings to build the Mesquite Creek Wind Farm in Lamesa, Texas. The farm is now producing the equivalent of 100 percent of the company’s U.S. power needs, or 12 percent of its global energy requirements. By the end of 2015, the renewable energy Mars uses will be almost 300 times what it was in 2007.